#1: James Spader as Ultron: David and I have work stations next to each other and he’s played the trailers for the Avengers: Age of Ultron over and over again over the past few months. While he’s watching, I’m listening. Without a doubt, hearing Jame Spader’s voice as Ultron has been one of my favorite of those trailers playing. Now that we’ve seen the movie, seeing the sarcastic and evil Ultron come to life with Jame Spader’s voice and mannerisms was another favorite of ours. 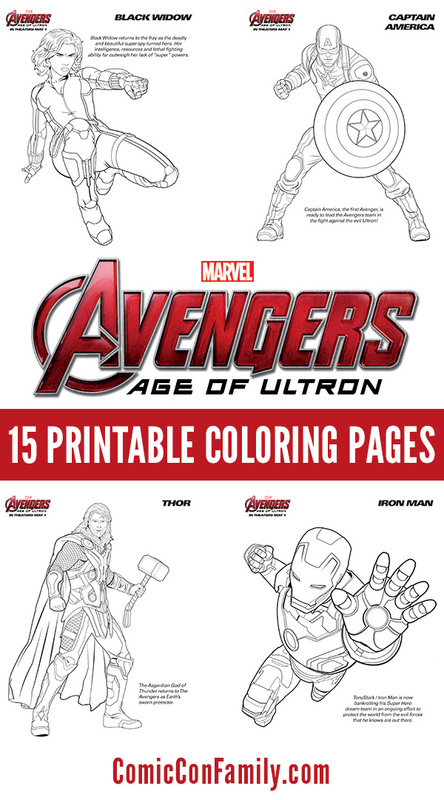 #2: Introducing….Vision: Our #2 reason for loving Avengers: The Age of Ultron is the addition of Vision to the team. If you’ve seen the Iron Man films, you recognize him as the voice of Jarvis. We like his kind, gentle, protect-all-mankind manner. I thought his coloring and costume were excellent. We can’t wait to see more of him. 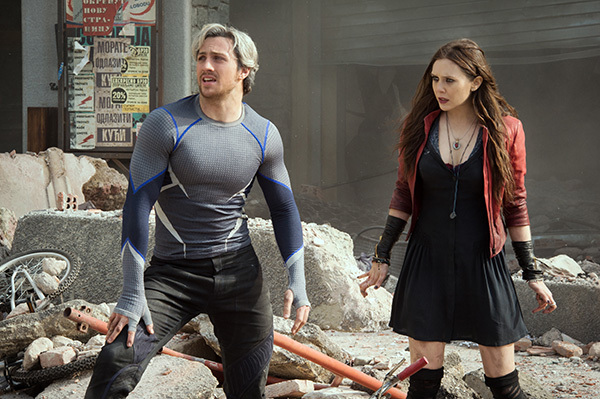 #3: Quicksilver and Scarlet Witch Relationship: Before seeing Avengers: Age of Ultron, I was most excited about the addition of Scarlet Witch. I was hoping she’d be as great as I was imagining her to be, and she didn’t disappoint. Beyond my love of her, I was especially happy with the sibling relationship between Quicksilver and Scarlet Witch. They are good to each other and extremely protective, just the way any mother would want her own children to be with each other. #4: Scarlet Witch’s Powers: Scarlet Witch has a few different powers: telekinesis, mind control and telepathy — all of which are pretty cool. The one that we enjoyed the most was her mind control, where she is able to tap into the Avenger’s greatest fears and manipulate their mind into thinking the fear was real. This had a major impact on Thor, but also affected Captain America, Black Widow, and Iron Man. Sure, we don’t want our beloved characters to be tortured in this way, but this makes her an incredibly powerful character. It also gave us some great insight into the Avengers she affected. 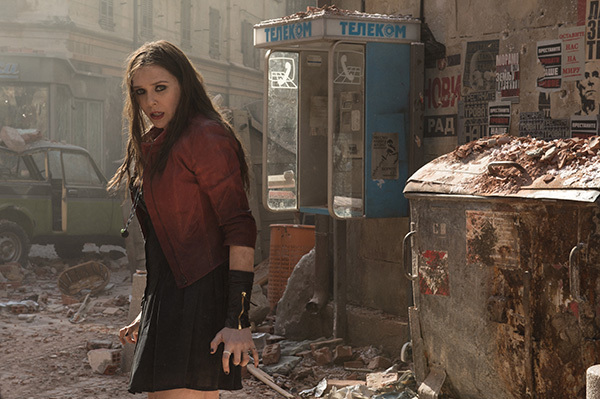 My only disappoint with Scarlet Witch was that I would have liked her to have even more screen time. 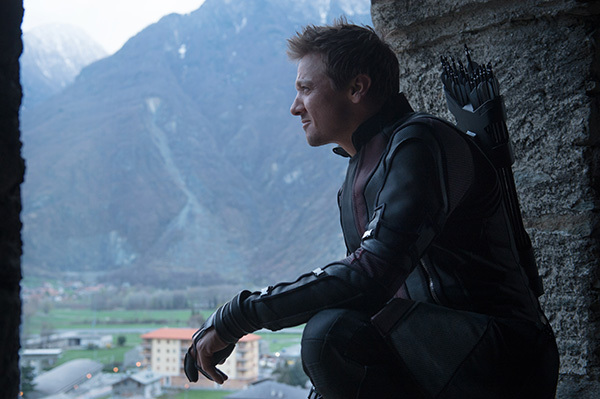 #5: Seeing more of Hawkeye/Clint Barton: It’s fairly unanimous in our house that Hawkeye hasn’t been on screen enough, so we were all thrilled to see more of him and to learn more of his story. Finding out that he’s a “normal person” just like the rest of us was a perfect addition to the film. Our one concern though: is the introduction of his family a way to give him an acceptable excuse for not being as present in future films? We hope not. He’s one of our favorites and we want to see even more of him. 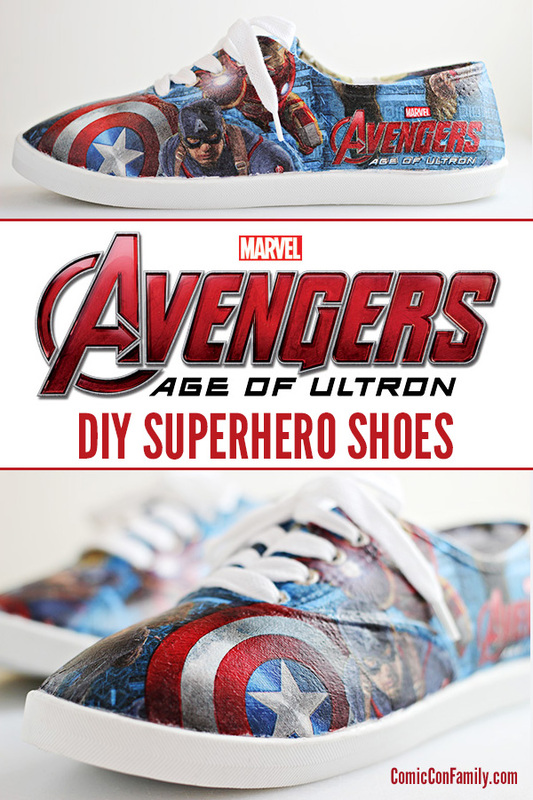 If you haven’t seen Avengers: Age of Ultron yet, now’s the time. Make plans to get to the theater ASAP! Seen it already? We’d love to know if these were your favorite things about the movie or if you had other favorites. Leave us a comment! James Spader was the perfect fit!! I hadn’t watched the trailer and read ANYTHING about this movie to have absolutely fresh eyes while actually watching the movie. I Jumped off my seat as soon as I heard his voice! I absolutely loved scarlet witch and hope renner will continue too !